Home HAIR My Must Have Hair Products! Happy Monday! I'm back with a post on my must-have hair products. I thought it'd be fun to share some of my Holy Grail hair items that I can't live without. 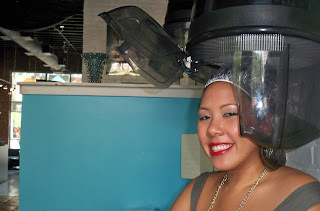 I actually walk you through my regimen which involves some necessary steps to maintain my color-treated hair. I give you a lot of affordable product recommendations as well, Enjoy! Honestly, I switch between shampoos...I'm not totally sold on one type. I know it's good to do paraben and sulfate free but I tend to have a dry scalp and I just use what works. In terms of conditioning though, i'm pretty picky. I prefer deep conditioning conditioners in the jar like L'Oreal Nature's Therapy. They really work to hydrate my color-treated hair. I get this conditioner at beauty supply stors or online since it's a pro product. After washing my hair, I make sure to treat it to maintain the moisture and smooth texture. I use a split-end mender that also acts as a de-tangler. Next, I apply a hair serum...some of my favorites include Biosilk and Chi Silk Infusion. This keeps your hair super duper soft. I only try to wash my hair 2-3 times a week in order to preserve my hair color. In between I'll use dry shampoo and a hair spritz refresher. Tresemme has a great affordable line for this. In terms of hair brushes, I need 3 in my collection - a round brush for blow-outs (chi), a paddle brush for detangling, and a teasing comb while I'll use for giving me volume or for when I put in clip in extensions. Sometimes I'll also use a rat tail comb to get precise hair parting. Speaking of clip-ins, I definitely recommend that everyone have a pack for an easy way to give length, volume, and added drama. To prep my hair for heat styling, I use a heat protectant. 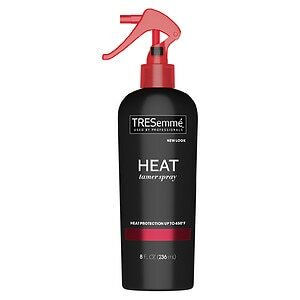 I love Tresemme Heat Protectant because it's cheap, you get a lot of product, and it smells nice. In terms of styling tools, I swear by my Sedu hair dryer from www.follica.com. A quality hair dryer lasts forever and your hair dries in 1/2 the time. I don't usually straighten my hair, I prefer curling it. I use a variety of curling irons including clipless ones and traditional ones with the clip (Babyliss) and i'm also a big fan of Hot Rollers - just put them in while you're doing makeup and you're good to go! To set my hair, I use hair spray. I love Elnett because it doesn't flake up and your hair holds but is moveable - this is key for me since most of styles involve loose curls. I actually prefer the one without a scent because the original is a bit perfumey. I'll also have a regular super hold hairspray for when I need my hair to really stick in place - any brand will do. I sometimes will also use a finishing cream to smooth fly-aways. 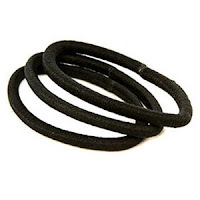 In terms of hair accessories, I must at all times have a hair elastic on my wrist - I prefer the ones without a metal band. A pony-tail is a must-have for me to get my hair out of my face. I don't do too many hair accessories except maybe some bobby pins to do a pompadour or a claw clip to put my hair half up and half down. Usually I'll do a style where my hair is down and curled. Hope this helped you guys, feel free leave your favorite hair products in the comments below! i live for the Chi silk infusion serum. it has been a lifesaver for my hair. not to mention it smells amazing. 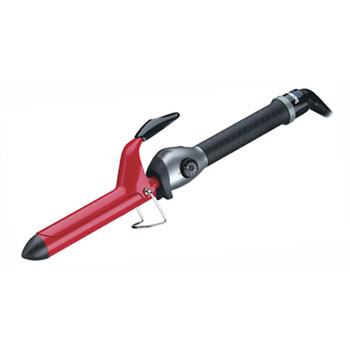 I'm actually looking for a hair dryer.Can you recommend some budget friendly hair dryers? I will greatly appreciate it, thank-you.